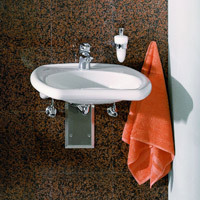 Keramag stands for high-quality bathroom ceramics for more than 100 years now. 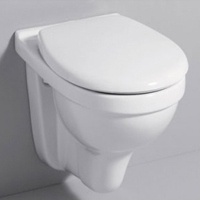 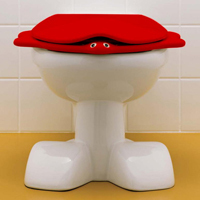 It is no wonder that Keramag sanitary ceramics are characterized by first-class design and perfect workmanship, regardless whether it is a Keramag basin, a Keramag toilet, urinal, bidet or the appropriate Keramag bathroom furniture. 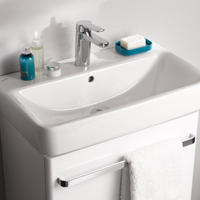 Ceramics by Keramag in your bathroom or guest toilet is all you need. 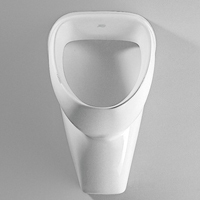 Convince yourself of a variety of wash basin concepts and the rimless WC including the rimfree technology developed by Keramag and becoming more and more popular. 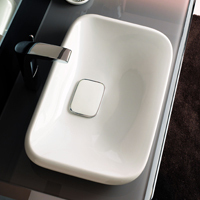 Ceramics by Keramag are characterized by special techniques and represent robustness, stability and hygiene. 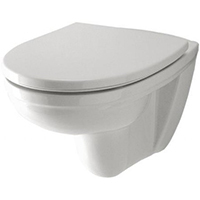 Keramag sanitary ceramics are made of basic ceramic raw materials. 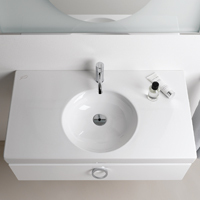 The main components are quartz, clay, kaolin and feldspar - earth minerals which are used as production materials. 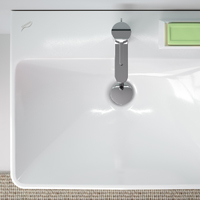 This makes Keramag ceramics 100% recyclable, particularly robust and resistant against temperature changes and chemicals. 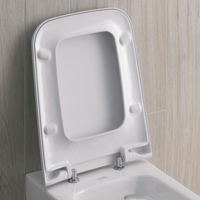 The surface of the Keramag ceramic products, including toilets, wash basins, urinals and bidets is treated with the company-specific glaze KeraTect. 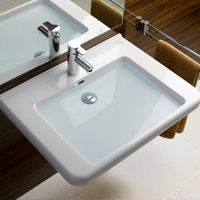 KeraTect is a special glaze for sanitary ceramics, which is stoved in the ceramic and thus ensures an extremely smooth and clean surface. 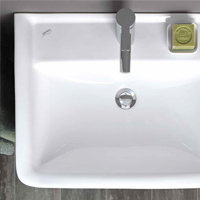 In addition, Keramag provides a long-lasting protection of the significant KeraTect ceramic effect, so you’re your ceramics look like new. 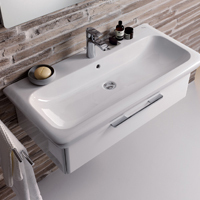 Keramag is so confident of its KeraTect surface that they grant a 30-year guarantee on the consistently high smoothness of the ceramic surface under normal conditions of use and regular cleaning. 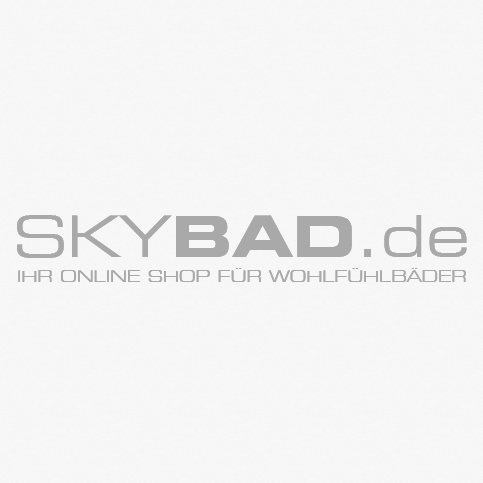 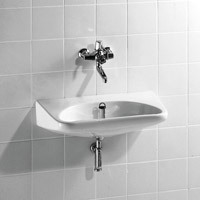 The following link will provide you with further detailed information http://www.keramag.de/uber-uns/produktmaterialien/keratect/. 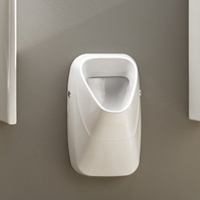 Recently Keramag has developed the rimfree technology, a modern and nowadays nearly indispensable rinsing distribution for the WC. 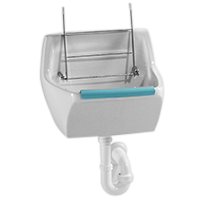 This distribution ensures an optimal rinsing and surface rinsing of the ceramic with low water consumption. 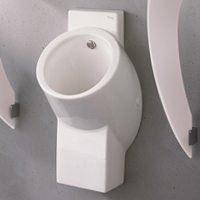 In addition, designers and technicians spent lots of time thinking about how to remove the rim from the toilets, as this is a breeding ground for many germs, dirt and deposits. 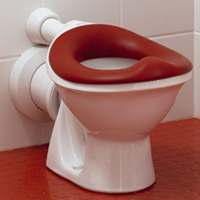 But Keramag has made it. 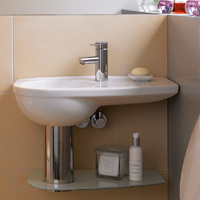 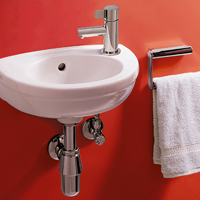 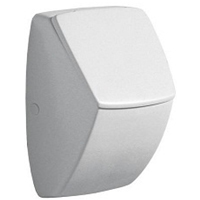 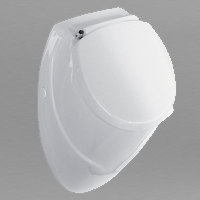 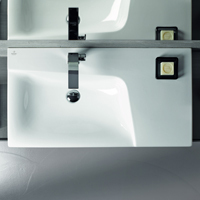 Consequently, rimfree WCs are the first choice when it comes to hygiene. 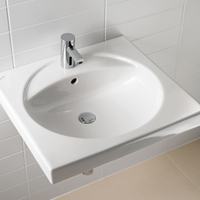 This is also confirmed by independent tests. Keramag not only attaches great importance to material, hygiene and function, but also to the design and the ceramics’ adaptability to every room size. 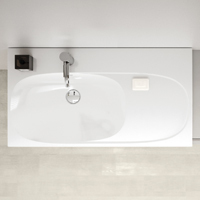 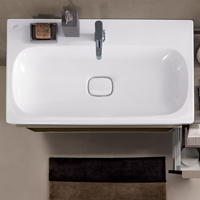 Numerous designers have developed bathroom ceramics’ series, which fit into in large and small bathrooms. 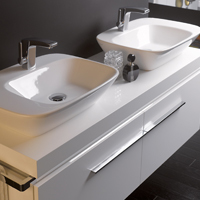 The most popular and well-known of these series is the series Keramag iCon and its little sister, the series Keramag iCon xs - a bathroom, guest toilet and hotel bathroom series which is distinguished by a wide range of ceramic products and bathroom furniture. 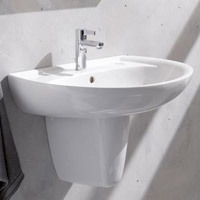 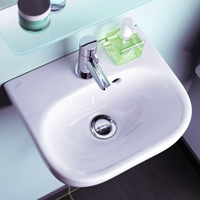 Whether you are looking for a small hand wash basin for the guest toilet, a double wash basin for the family bathroom or a wall-mounted and rimless toilet, Keramag iCon offers you all these possibilities and much more with easy care and hygienic surface giving you pleasure for a long time.